鄭文嵐, 累到爆肝？. 健康兩點靈, 2012. 16: p. 54-59. Mitchell, R.N., V. Kumar, A.K. Abbas, N. Fausto, and J.C. Aster, eds. Pocket Companion to Robbins and Cotran Pathologic Basis of Disease. 2012. 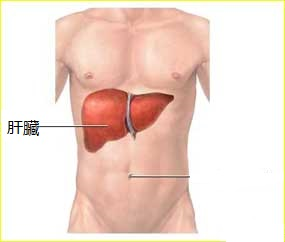 鄭伸熙, 趙淑貞, 許瑋真, 林佩菁, 王嘉莉, and 洪淑萍, 乙肝病毒標誌調查在乙肝疫苗政策三十年後. 生物醫學暨檢驗科學雜誌, 2014. 26(3): p. 105-110. Orfanidis, N.T. Merck Manuals: Alcoholic liver disease. 2013; Available from: http://www.merckmanuals.com/home/liver_and_gallbladder_disorders/alcoholic_liver_disease/alcoholic_liver_disease.html?qt=alcoholic%20liver%20disease&alt=sh. 梁高誌 and 吳芝瑩, 嶄新抗C型肝炎口服藥Sofosbuvir. 藥學雜誌, 2014. 30(4): p. 44-47. 黃欣智, 蔡銘鴻, and 陳邦基, 肝硬化的診治概要. 内科學誌, 2012. 23: p. 392-397. 劉鐘軒, 蔡正中, and 陳海雄, 肝癌的診斷及治療最新發展. 内科學誌, 2013. 24: p. 85-94.